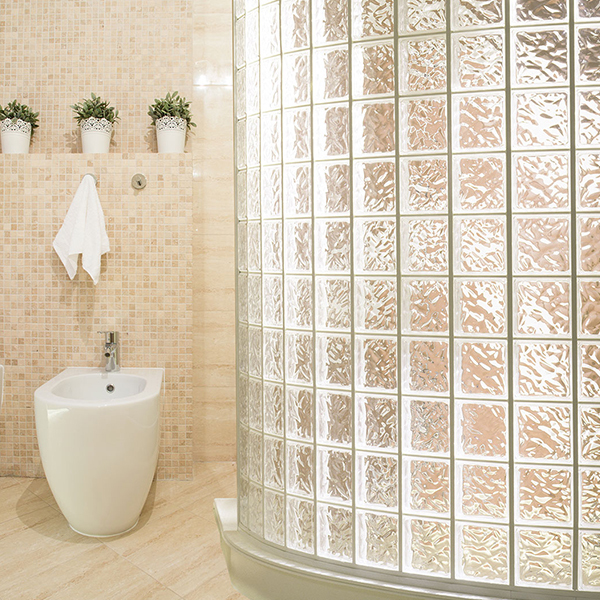 Pre-assembled acrylic block wall panels from Hy-Lite are the perfect solution for home and commercial projects. Sturdy acrylic block wall panels come completely prefabricated and can be installed as room dividers, shower enclosures, interior accent pieces and more. Use in the bathroom, family gym (to create private work out spaces) or in offices. Installation is a snap with Hy-Lite's snap-on installation accessories including flat and round caps and special angle finishes. And, you can choose from Wave, Glacier or Cross Rib block patterns for privacy. These "Made in America" lightweight wall panels are ideal for adding sparkle to commercial settings such as medical and dental offices, veterinarian offices, beauty salons, yoga studios and fitness centers. For information and to order these customizable wall panels, contact Hy-Lite at 888-256-2599.